The Tintagel Guesthouse (pronounced Tin-ta-jel) is located near the centre of Nelson township. Sheltered, private and warm, a luxury cottage is located in the rear grounds, offering tranquil surroundings with the benefit of being very close to a wide selection of activities and attractions that Nelson has on offer. There are numerous walks, both easy or more challenging in the immediate vicinity. There are plenty of wide open parks and picturesque rivers to explore. Sample local beers, award-winning wines and numerous restaurants all within walking distance of the Tintagel Guesthouse Cottage. The guesthouse itself can be described as a large modern studio. It comes complete with kitchenette, bathroom, entertainment area, separate laundry and secure storage facilities. Wireless internet is available to all guests. There is plenty of safe onstreet parking. The guesthouse is located in the garden behind an historic 4 bedroom home. The owners are on-site. North-facing French doors open onto a glorious garden, full of colour and home to various native New Zealand birds. An oversized chess board sits beside the cottage. Inside, the guesthouse is tastefully decorated with local artworks. The cottage is secure and warm. Perfect for couples or singles. Attractive long-stay rates are available Apr-Nov. Please enquire. Nelson, the geographical centre of New Zealand, is a region renowned for warm sunshine, fine beaches, lakes, mountains and native forests. The City of Nelson is large enough to offer all the services and amenities of a large city yet is small enough to be intimate, welcoming and friendly. With the attraction of fine foods, superb wines, an innovative craft industry, spectacular scenery and traditional Kiwi hospitality and you can understand why Nelson is a place to which holiday makers flock all year round. The Tintagel Guesthouse comes fully furnished and ready for your comfortable occupancy. Great quiet and central location, would recommend. Lovely accommodation with nice outside space. I loved the location, close to everything, yet in a quiet wide street, great for parking and walking to town or to the river, both about five minutes walk away. The apartment had everything you needed and was really attractive inside and out. It was private even though on owners land. Comfy bed and uber fantastic shower. The kitchen had all you need. Good TV and entertainment system with CD's to choose from. Outside table and chairs to relax in overlooking garden, you had privacy inside and out. Lovely place to stay! 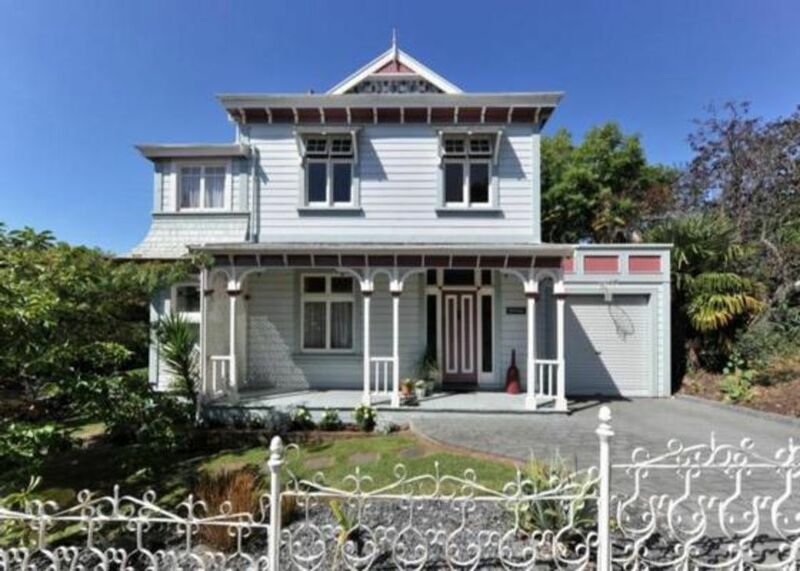 Private and has all things you need(except maybe a fan, as was so warm even though mid March) Very handy to Nelson CBD and all areas surrounding Nelson, we thoroughly enjoyed our stay! Thanks for letting us stay a bit longer on checkout day! We stayed three nights and couldn't have been happier. Not only is the guest house beautiful, but we had a great time in the area.